Prolific Publishing, Inc. is pleased to introduce Funnyfish to our award winning line of screen savers. 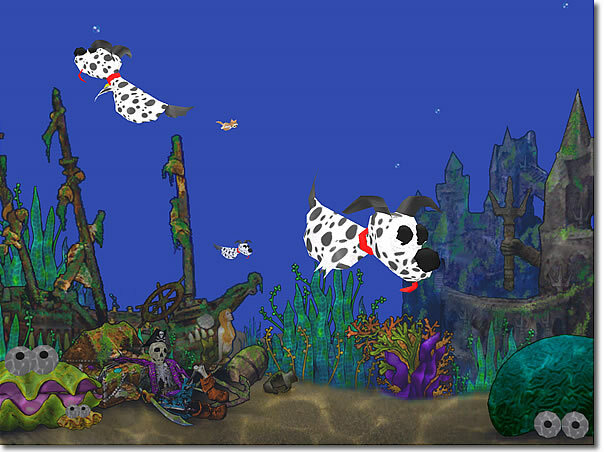 Currently a beta release, Funnyfish offers a whimsical look into the fun underwater world of fish designed by our team of wacky artists. 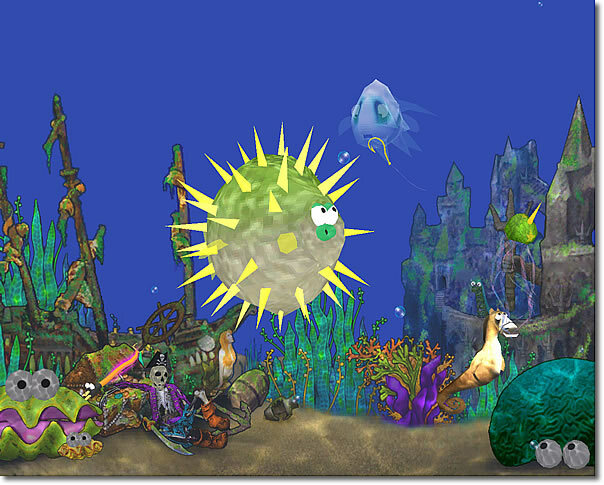 Shriek with delight as the Ghost fish swims by, smile at our friendly Sea Cow, and laugh out loud at our Clown fish. It's the perfect screen saver for the silly child in all of us. A friendly Puffer fish is scared of the Ghost fish. Dogfish and Catfish chase each other around the bay. 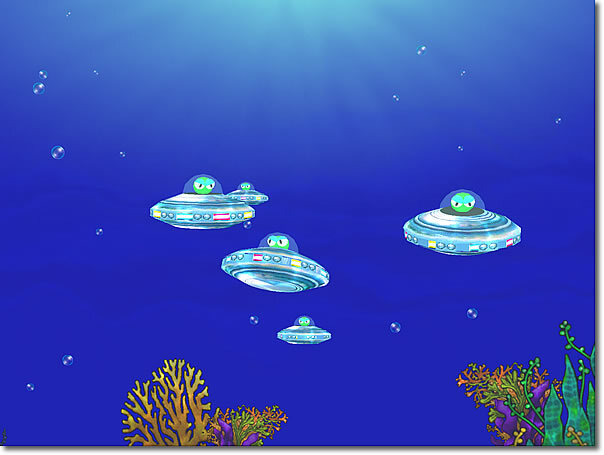 A UFO ( Underwater Flying Object ) school glides over a coral bed.